With around 70 per cent of all Australian businesses being family-owned and operated, and an estimated $4.3 trillion of wealth locked up in these firms, having a succession plan to capitalise on this value when choosing to exit the business is crucial. What exactly does ‘succession planning’ mean? Business succession describes the process of a business owner transitioning out of the business. 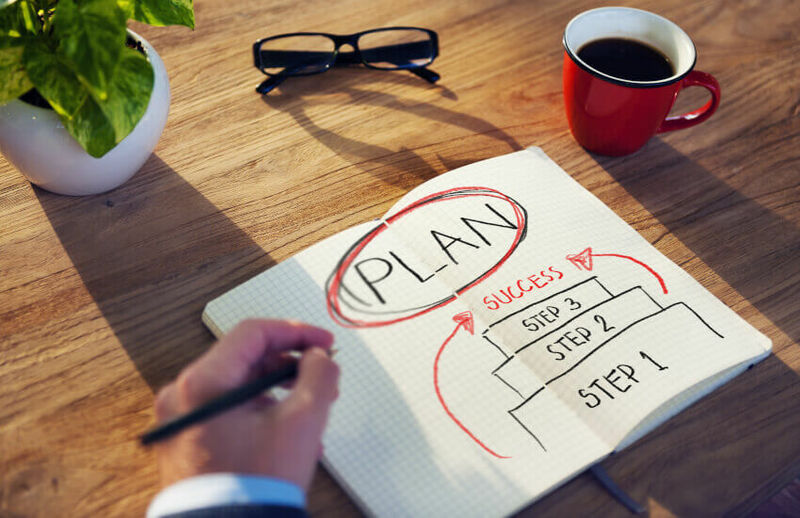 There are many different ways this can be achieved, which is why having a plan is essential to ensure the right option is chosen and that the relevant steps are taken to achieve a desirable outcome. Why is it relevant to you as a business owner? Building and running a business is hard work. So, it makes sense that when it comes time to exit, you would want to receive the best possible value for your efforts, and the best outcome for the business you have put your blood, sweat and tears into. For this reason, having a succession plan is so important for every business owner. A succession plan allows a business owner to identify their company’s opportunities for improvement and to scale, but also its impediments to growth, which might turn off prospective new owners and/or diminish the value of the business. Additionally, developing and following a plan will allow you to minimise tax liabilities, plan ahead for life after the business (whatever that may entail) and ensure the transition – for yourself, your staff, your customers and the business itself – runs as smoothly as possible. What are the different options for exiting a business? Sell the business: This is probably the most recognised form of exiting a business, allowing the owner to receive a lump sum payment for the asset they have built up. Business merger: Similar to a sale, merging with a competitor can allow for one owner to hand over the reins to another, while simultaneously offering additional value to employees and customers. Pass the business down(to children or other relatives): Many businesses retain family ownership over a number of generations, allowing owners to bring in new ideas and enthusiasm for younger generations without losing the family’s connection to the business through a sale. Employee or management buyout: It is possible for a buyer or group of buyers to come from within the business itself. This may involve a single or group of employees coming together to take over, or other directors, managers and board members buying out the share held by a co-owner. Stock market listing: Many start-ups choose to embark on an IPO to take the business into public ownership once it reaches a certain size. Shut the business down: The simplest and most final way of exiting a business is to simply shut the doors and cease trading. What should business owners know about succession planning? Many business owners – especially those without a succession plan in place – are often shocked at how long it can take to exit a business, and exactly what is involved. For instance, business advisers generally suggest that it takes between 18 months to 2 years to properly prepare a business for sale. This is primarily because of the amount of behind-the-scenes work required. New owners, whether buyers, merger prospects or buyout parties, will want to see evidence of the company’s performance, levels of debt, revenue structure, productivity, staffing levels and turnover rates, supply agreements, customer contracts and more. In addition, they want the business owner to effectively provide a “brain dump” of everything they know about the business to ensure a smooth transition into operating under new management. This includes operational procedures and process, passwords, relevant contact lists as well as ideas and opportunities to further scale and grow the business. Having this process clearly documented will substantially increase the level of interest from prospective buyers, and how much they are ultimately willing to pay for the business. It is also important for suppliers and customers to have confidence in any change in management or ownership. The sudden and seemingly unplanned exit of a business owner can lead both suppliers and customers to question the viability of the business, taking their custom elsewhere. Business owners should also be aware that their company may hold more assets or value than they realise. For instance, some services firms wrongly believe that without the owner, there is no business. However, their customer base, for example, could be of substantial monetary value to competitors or other parties. Finally, it is important to note that a business owner will generally be required to continue working within the business for a period of time (generally six to 12 months) to ensure a smooth transition to the new owners. A portion of the sale price is sometimes tied to this requirement being met. What happens if there is no plan in place? Accepting a lower offer for the business and/or its assets than what they are really worth. Limiting the number of interested parties that the business may otherwise have attracted. Scaring off a key customer who gets spooked by the unknown implications of the transition, in turn destroying cash flow and goodwill. Discovering that the preferred exit option is unavailable. Sadly, this a growing problem for many business owners who aspire to pass it onto their children, only to discover the next generation either can’t afford or have no desire to take over the business. Being forced to delay retirement in order to generate the desired returns from the business. Tom and Mary have run a successful printing supplies business for over 20 years and are now approaching retirement. They worked hard to build up the business from scratch and built a highly loyal customer base. As such, Mary and Tom want to see these customers continue to receive the trusted service to which they are accustomed, and for the business to continue growing once it moves to new management. They would have liked their dedicated employees to take over and continue running the business, rather than sell out to an unknown party, but were concerned about the financial and logistical viability of this option. In a bid to explore their options in more detail and receive bespoke advice on how best to manage their eventual exit from the business, Tom and Mary decided to work with an external consultant familiar with succession planning. The couple signed up their business as a Qantas Business Rewards member a couple of years ago as a means of generating returns from their frequent travels to visit customers and suppliers. They realised that as well as getting points for their flights, they could also earn points on their business expenses through Qantas Business Rewards partners. With this in mind, Mary and Tom selected Deloitte Private, a Qantas Business Rewards partner, as their business consultant. By doing so, Tom and Mary not only received the much-needed advice to plan their retirement, but they also earned Qantas Points that they used to incentivise their sales staff to generate higher returns, ultimately increasing the value of the business. Using the advice of their business consultant, Mary and Tom have been able to overcome their initial fears and begin the process of transferring ownership of the business to their staff. Consultations have determined which employees will be involved in the buyout and how much each will contribute, allowing each member of staff to begin exploring their own options to finance the purchase. Major customers have been thrilled with the news they will continue to be dealing with the same people they know and trust, and Tom and Mary are now at ease that their legacy and customers will continue to operate in good hands.